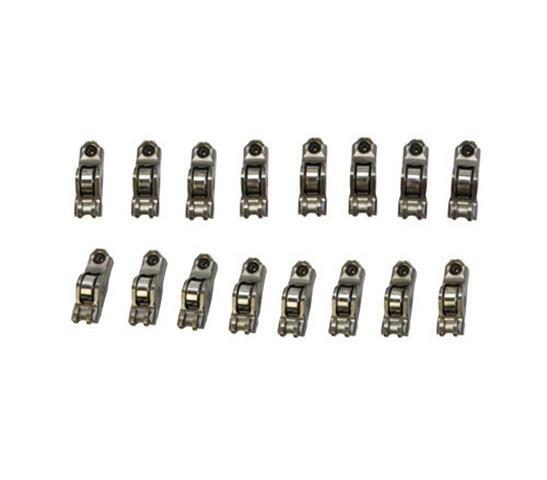 GT500 / FORD GT Rocker arms - Super sale!! Thread: GT500 / FORD GT Rocker arms - Super sale!! MMR is running a sale on the Ford GT / GT500 Roller rockers for just $189.99 per set of 16!!!! Wow, I can make moar horse powers!!?? Correct! Valve train deflection robs power, the more aggressive the camshaft the more power that can be lost. Another plus with these rockers is that they are lighter than the 03/04 Cobra std rocker, which also has performance benefits! Which lash adjusters do you use with these? All of the factory lifters/lash adjusters are compatible with these. I assume there is a difference in wall thickness or something? I picked up a set that will be waiting for me when I get home this evening. Will get comparison pics and weights in the next day or so if anyone is curious. Definitely a nice price, by the way! Last edited by jrgoffin; 11-20-2015 at 05:13 PM. To MMR: When using the GT500 (exhaust) lash adjusters in C heads or any other modular head for that matter, are the GT500 followers required? I've read that the heads will lose oil pressure if GT500 followers aren't used with GT500 lash adjusters - but the logic has never been explained. I'm wondering if a shop such as yours has experience with this? The Orifice size is smaller on the GT500 follower, meaning it will restrict oil compared to using a std C rocker with a GT500 lifter. We have run them both ways however and never seen a measurable loss or increase. There are no benefits or dangers of using the gt adjuster with 4.6 followers. However, using the GT followers on 4.6 adjusters does provide for a more stable valvetrain. Hp output in a sub 7000rpm combo using low pressure valve springs is minimal. The higher the spring pressure and RPMs the greater their benefit. With that, the biggest gain I've seen on a 4.6 was 6 hp at 8100rpm, below 7000 on the same combo the power did not increase.